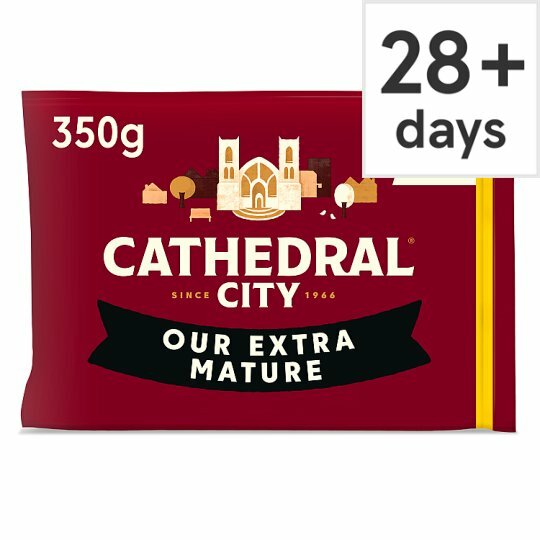 Typically matured for around 14 months, our carefully crafted Extra Mature Cheddar has a firm texture and mouth-filling rich yet creamy flavour with every bite. Great for everyday use such as a hearty pasta dish or to savour on special occasions. May contain naturally occurring calcium lactate crystals which are found in high quality aged cheddars. Keep refrigerated 2-5°C., To enjoy this product at its best, consume within 7 days of opening., Best Before See Above.